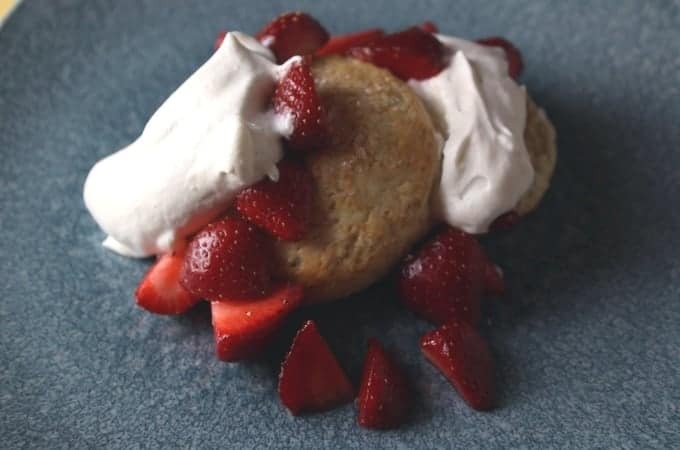 This strawberry shortcake recipe tastes just like Grandma made it, but with some updates with sprinkling sugar, vanilla beans, and fresh strawberries. 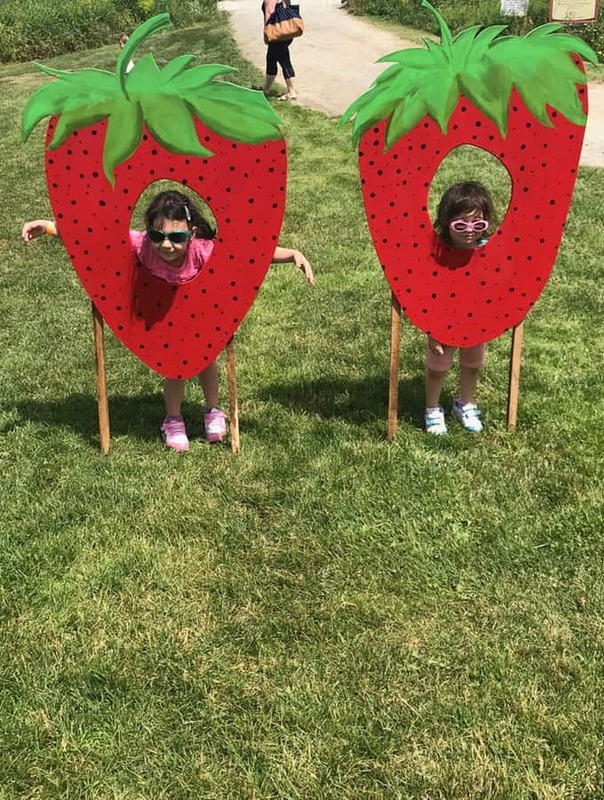 Last Saturday, I took the girls to our local farm for the Strawberry Festival! The day was beautiful, complete with the warm sunny weather! On top of everything that our local farm has to offer, there was live music, strawberry slushies, different flavored cotton candies, strawberry doughnuts, and strawberry picking. After we came home I was wondering what I was going to make with our 1 quart of fresh-picked strawberries. Last year, we picked 4 quarts!-yep I learned from last year to only pick one due to little people running low on energy in the heat. You will see within the recipe it calls for vanilla sugar, What is it? I buy fresh vanilla beans and use the leftover pods for making vanilla extract and to make vanilla sugar. Vanilla extract is made in a glass bottle with a bottle of cheap vodka or gin and opened vanilla pods. Vanilla sugar is made in an airtight container with granulated sugar and opened vanilla bean pods. If you don’t have vanilla sugar, it’s all good just use regular granulated sugar. 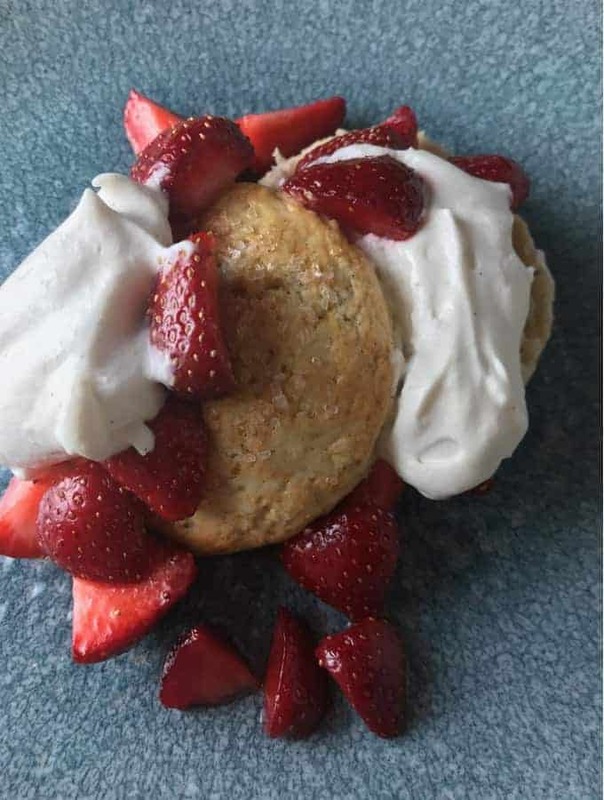 While the girls had a late nap, I looked through one of my cookbook “Bibles” that was used at the country club… The Joy of Cooking for a good shortcake recipe which I added some extra ingredients. 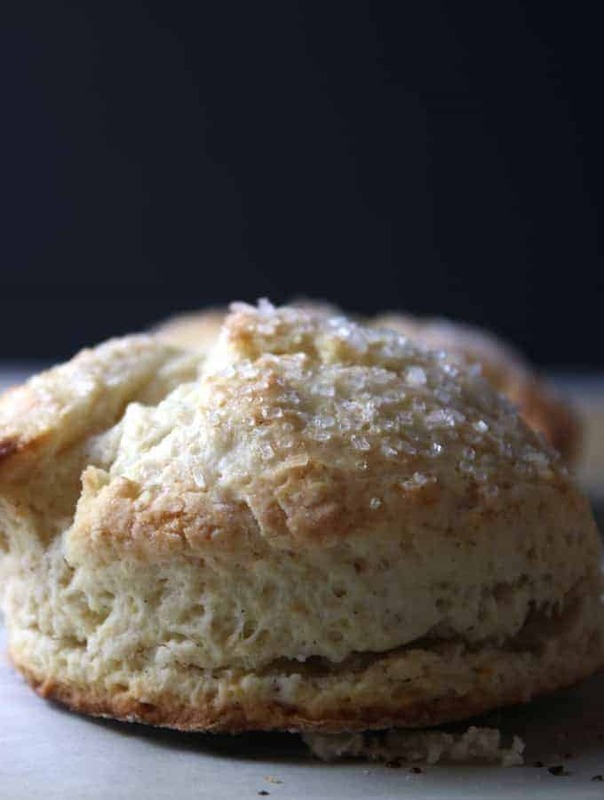 If the thought of making fresh shortcakes freaks you out then you can pop open a can of biscuits, I won’t tell anyone, brush them with some milk or half-and-half and top them with sugar and bake. 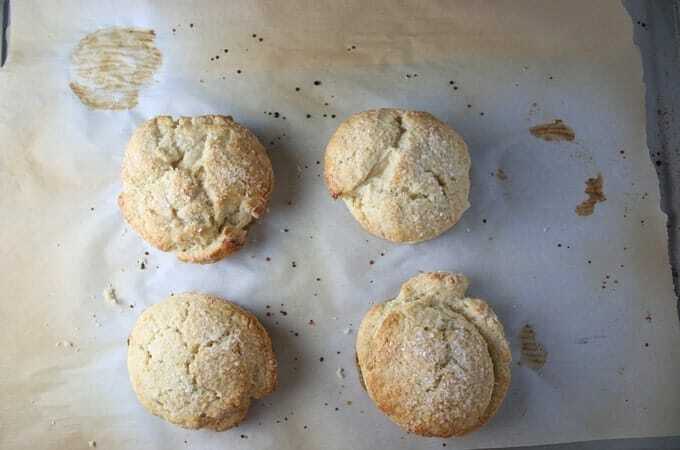 It has taken me some time to get comfortable making them, but I can still remember my chef instructor from high school saying “Stacey, you overworked the biscuits again, they are hard like hockey pucks”. So I have learned not to mix the dough that much and to not over-roll the dough when cutting them out. The strawberries are macerated with a little bit of vanilla sugar and honey is folded into the mix. I think the honey really balanced out the sweetness by adding a touch of earthiness-you know just so it isn’t just sugar, sugar, and more sugar, but something else to balance it all out. The whipped cream is made with vanilla sugar-yep granulated sugar, not powdered sugar. It’s something I learned when I was apprenticing in high school. The sugar gets whipped into the cream and dissolves. Gather all ingredients and equipment. Preheat oven to 450°F and line a baking sheet with parchment paper. In a large bowl mix the flour, baking powder, salt, vanilla sugar, ground ginger, ground nutmeg, and vanilla beans. Cut the butter into the dough, some like to use a pastry blender, I like to use my hands. It will have the texture like that of streusel. 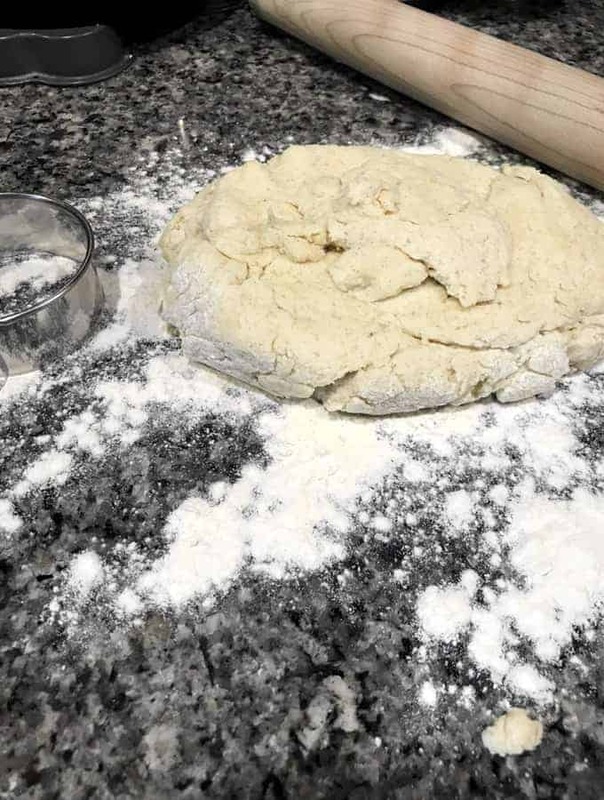 Make a well in the center of the flour-butter mix and with a rubber spatula mix in the 3/4 cup half-and-half until the dough comes away from the sides of the bowl. Place the dough onto a lightly floured surface and knead gently 8 times. Roll out with a lightly floured rolling pin until 3/4 inch thick and cut out with 2-1/2 inch squares or 3-inch round cookie cutters. 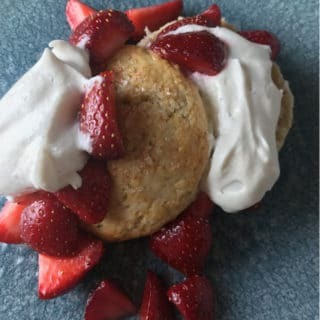 Place the shortcakes onto the prepared baking sheet, brush with the remaining half-and-half and sprinkle with sparkling sugar. Bake until lightly browned, about 12 to 15 minutes. 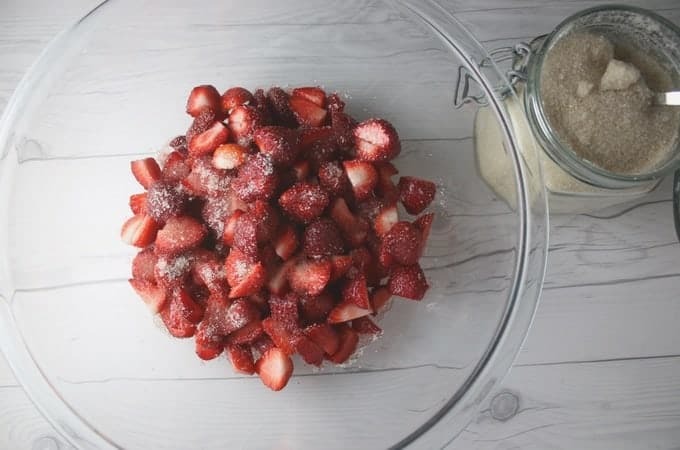 Place the strawberries in a medium bowl and sprinkle with vanilla sugar and allow to macerate for 10-15 minutes for the natural juices to come out of the strawberries. Afterward, fold in the honey. 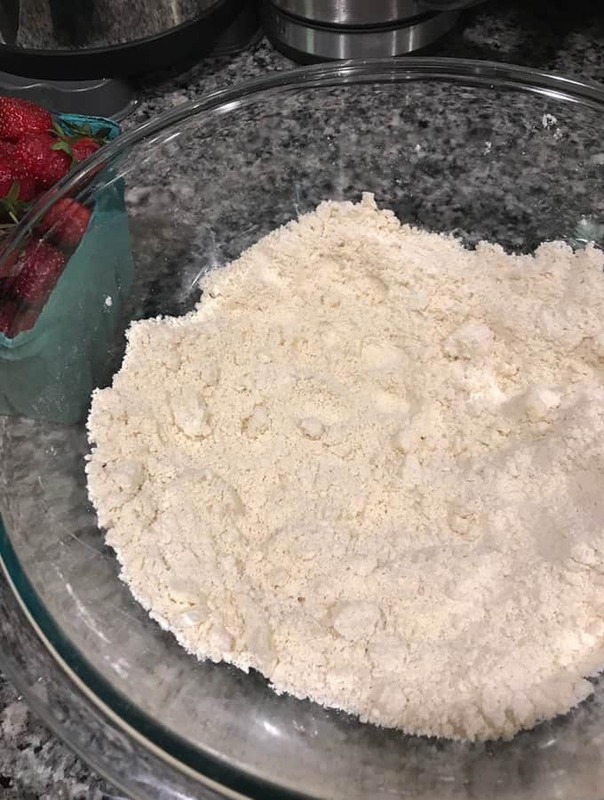 Place the heavy cream, sugar, vanilla beans, and extract in the bowl of stand mixer fitted with the whip attachment and whip until soft to medium peaks.